Hi! 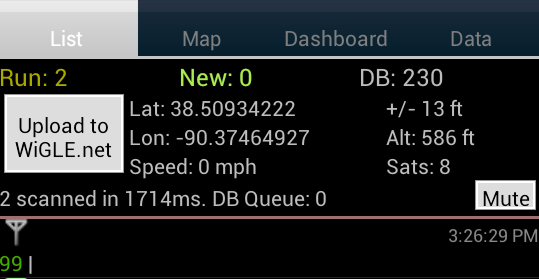 I know that viewing the KML file on google earth there are colors to tell you which networks are open. However, how do you know this information when looking at the csv file. There is no information on which are open or closed networks there? Good question… let me do some research with the csv file export and see if I can get an answer back to you. Thanks! OK… I did a few war drives and I know I had some open networks, but when I exported the results to CSV the networks showed as ESS in the Authmode column. I was hoping for open or no auth, sorry I could not provide a better answer. 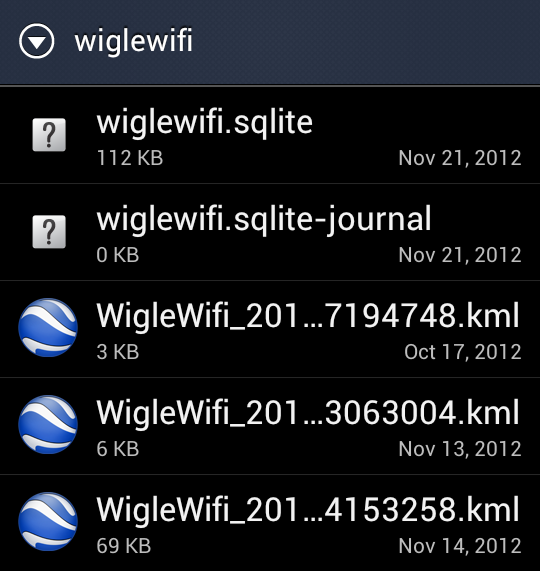 is there a reason why I should upload the data to Google Maps instead of Wigle.net? 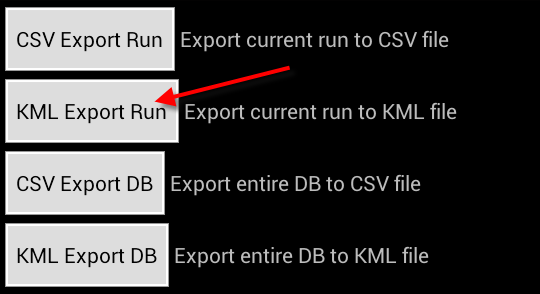 I rather not perform the extra step of exporting the KML file on my Nexus 7. Just wondering. 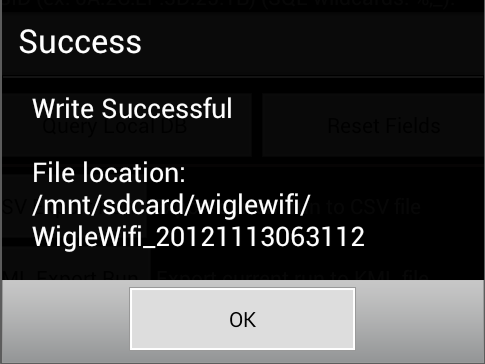 You don’t have to export the scan results to Google maps, it is just another option available once a scan is completed. Thanks! 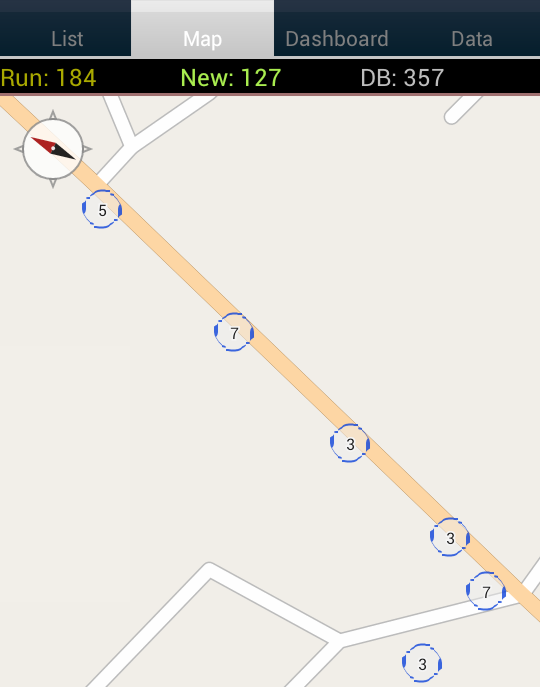 what are those different color option on the map? what they indicate? 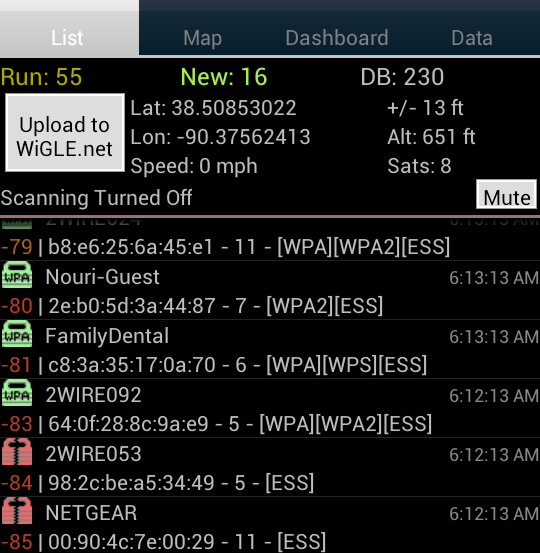 The colors show if the network is protected with WEP, WPA, or is an open network.